10 of My All-Time Best Coaching Questions & Why! I LOVE questions - they're the cornerstone of great coaching. People are often looking for the best coaching questions to ask, but it's not just the questions themselves - it's about asking the right question at the right time in the right way. And that's a whole other topic! 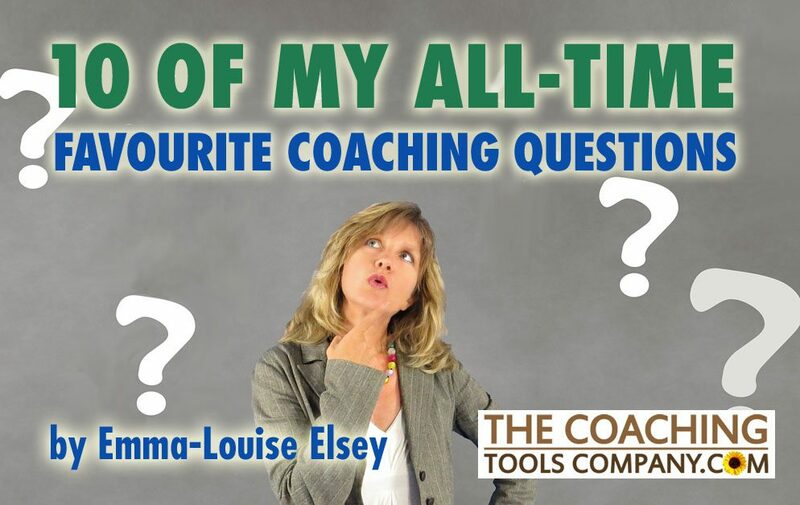 Great questions however, become a part of our toolkit - with the best coaching questions selected for the right occasion. Below I share 10 (with a few bonuses) of my all-time favourite coaching questions, plus when I use them. I'd also love to hear some of your best coaching questions - just comment below with yours! Here are 10 of my All-time Best Coaching Questions! What would you like to have achieved by the end of this session? I ask this (or a version of it) at the beginning of EVERY coaching session. This way both the client and I are clear on what we're working on - which keeps us on track, and makes sure the client feels like they are getting great value from the coaching! What's MISSING in your life right now? TIP: I also love the questions, "What would you like MORE of in your life?" followed by "What would you like LESS of?" If you could change just ONE thing right now, what would it be? Use when a client feels overwhelmed, or is unable to pick a topic or get focused. How SPECIFICALLY will you know you've completed that action/goal? It may sound like a dull question, but a lack of clarity is the MAIN reason people don't complete their actions (and goals!). Instead help your clients learn to get specific! Because when we're super clear it's easier to get started on actions, see our progress (which feels great) and know when to celebrate! What's the FIRST (or easiest) step you could take? Use when dealing with big goals, when a client feels overwhelmed or is getting drowned in details or worrying about the amount of work their goal entails. TIP: I usually add "within the next week/month" or "tomorrow" depending on the goal/client. What do you NOT want me to ask you? Your clients answer to this questions points to an area they are avoiding. Bringing this into the light and tackling it is almost always a powerful moment in our coaching relationship. How does that serve you? As well as looking straight at self-sabotaging behaviour, this question can also be a great lead-in to looking at why they might be sabotaging themselves. People often sabotage when they haven't fully acknowledged the scary parts of changing, or the benefits of NOT changing. TIP: Another question to ask is "What is the benefit of staying just as/where you are?" How will you CELEBRATE that? I don't just ask this about big goals, but also after a challenging action is completed. Celebration is often missed, skipped or rushed over as we move onto the next thing. But without acknowledgement our lives can easily become "one darned thing after another". What's wrong with how you are RIGHT NOW? And where are you ALREADY Awesome? I ask this when clients get fixated on things being better/different at some point in the future (when they've achieved X/Y) instead of valuing themselves as they are, NOW. TIP: Ask this question gently and earnestly. If you like you can add what you see as their coach, "Because I see a beautiful woman inside and out who cares deeply about X and Y." What was your biggest win of the session today? I ask this at the end of EVERY coaching session. IT helps the client think about the benefits of coaching, to see where they are learning and growing - and what matters to them. As well as getting to know what matters most to my clients, this question has also helped me really understand why people come to coaching as I see themes across clients over the years. We'd love to hear some of your all-time best coaching questions - just comment below with yours! 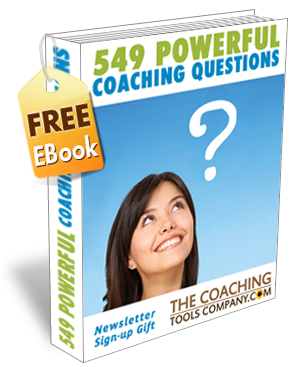 Coaching Questions 101: 10 Powerful Questions to Unblock Your Clients! Ask These 7 Coaching Questions to Celebrate Your Clients Achievements! 1. Are you satisfied with your life right now? 2. If you had to take anything with you from this session, what would it be? 3. Are your dreams bigger than other people's opinions or vice versa? 4. Where do you go when you need peace? 5. What is your foundational principle? 6. According to you, Are you doing better or do you know better? 7. Do you believe that you are made great by the great family you belong to? 8. Who is adding value to your life and why are you grateful? 9. What do you hate most about your life? 10. What are you going to use immediately when you leave right now? I just completed a weekend class for my PCC certification and found your Top Ten questions on a random Google search. Glad to have gotten here.. loved the questions, particularly "how would you celebrate", Where are you already awesome and " what would you not want me to ask you"? Thanks for sharing! I am wondering if you have any tips for coaches (like myself) for organizing and cataloging information I have already written down for other clients. Let me give an example. My clients are parents of kids under 10 who struggle with sleep training and general behavior issues. I give them in-home attention, followed by weeks of individualized correspondence most of which happens via email. They send daily logs, I send adjustments and suggestions based on my parenting system. 90% of what families ask is the same as previous families. And aside from gender changes and a couple of small adjustments for the individual child, my answers are largely the same. I waste so much time writing these emails to clients when I know I have already said, word for word, what I need to convey to this new family. But I can't find a software program or a systematic way of organizing and easily being able to look up and copy and paste these things. Do you have any suggestions? Software I am not aware of? Hacks for getting a robust database going that I can easily search by topic and sub topics? Thanks in advance! Hi Kylee, I love that you're thinking about systematising! This will indeed make life easier for you and save time. So, my suggestion is to stop worrying about the how. And first, do the bigger piece of work to create your list of the most frequently asked questions. Aim for say, 10. Then review your various responses and create a good "standard" response to each FAQ. As you think of more you can add them to the list. Once you have that, think about HOW you use the data and choose a way to access/offer this information to people in a way that suits you. Enjoyed reading the article above, really explains everything in detail, the article is very interesting and effective. Thank you and good luck in the upcoming articles.